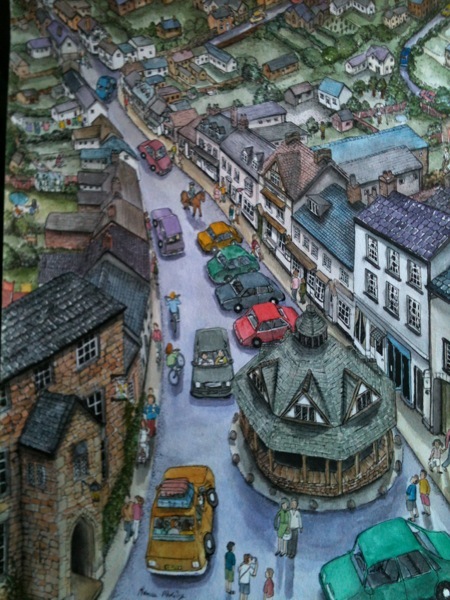 I have just finished this painting of Dunster. 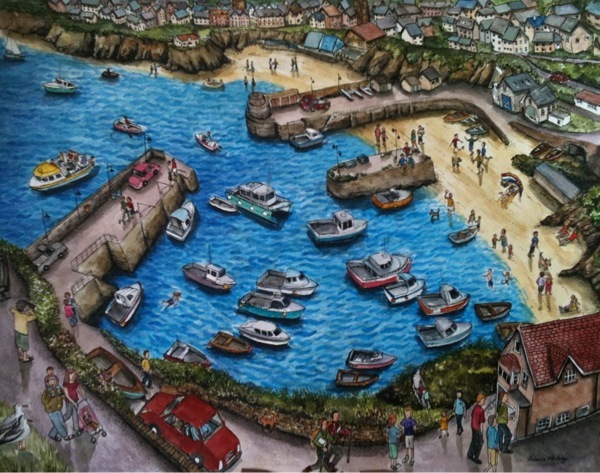 I've finished 2 paintings this month, both of lovely seaside towns. I have just finished this painting of Chatsworth, which was inspired by a visit there in April when there was still snow on the hills and definitely nobody paddling in the waterfall! The building was quite a challenge and there's a lot more green in the picture than usual but Chatsworth is surrounded by beautiful countryside which just had to be included along with the lovely sheep that roam all over the fields and roads without a care in the world! This month I have been working on some paintings for Buckingham Fine Art Publishers. I have painted Chester, which was lovely with so many beautiful buildings to choose from. My first solo exhibition is now showing at Derby Cathedral Centre and will be there until the end of November. This weekend ( 28th to 30th May ) I will be taking part in Derbyshire Open Arts at Banks Mill Studios in Derby. My work can now also be seen at St John Street Gallery in Ashbourne.